Last month, this board turned a few heads when we advocated for the abolition of the death penalty. We feel, somewhat strongly, that it is an outdated and barbaric procedure, applied arbitrarily and capriciously. That it is a blight to our state and the constitutional liberties it ostensibly protects. Most of all, we feel that it is just an excessively cruel practice to inflict in this day and age. With all that said, we are faced with a strange choice when deciding who to endorse in the three races for the Court of Criminal Appeals. As the court of last resort in Texas for all criminal cases, the court has broad range over a variety of causes, but seldom do any receive more attention than capital punishment. Whereas other disputes must go through the intermediate appellate body, the Court of Appeals, the Court of Criminal Appeals (yes, this is confusing, the names are all very similar) is required by law to hear appeals on cases involving the death penalty. Most of the time, the court unfortunately serves as a rubber stamp for zealous prosecutors. In the past, they have even gone so far as to allow an execution to go forward despite reasonable evidence that the condemnation should be stayed. Thus, we were happy to see three Justices of this court stand aside ahead of this election. All three seats up this year feature open races. In addition to the three Republicans, the Democrats pitifully managed to field one candidate. All four support the indefensible procedure of capital punishment. In addition to these candidates are three Libertarians and two Greens. But we are not convinced any of these fringe candidates hold the legal acumen necessary to sit as a Judge on this high court. Left with these realities, we judged (pun intended) the candidates based on their experience and qualifications. Accordingly, notwithstanding our deep disagreement on invaluable policy, we endorse the three Republicans. One may wonder what the current indictment of Governor Rick Perry has to do with this race, but the two are actually quite interconnected. Bert Richardson, the Republican candidate for Place 3 on the Court of Criminal Appeals, is the senior Judge currently overseeing Perry’s two pending felony indictments. Oddly enough, Richardson’s involvement in that case has garnered him significantly more media attention than his current Statewide race. As the Texas Tribune noted, observers on both sides of the political spectrum have described Richardson as a “thoughtful” and “fair” jurist. Prosecutors and defense attorneys alike have nothing but adulation for his style of Judging. Simply put, when he is on the bench, politics and ideology are checked at the door. A Criminal District Judge who represented Bexar County for ten years, Richardson knows all too well the deleterious affects of partisanship running roughshod over the judiciary. He was the victim of a partisan sweep himself when a less-qualified Democrat defeated him in 2008. Richardson’s Democratic opponent, John Granberg, is also a capable attorney. And while his lack of experience in judicial office doesn’t necessary concern us, we simply think Richardson is better suited for the job. Given that the we disagree with both of them over our main policy priority, we will gladly defer to the candidate with the sterling qualifications and credentials. Still, when it comes to the death penalty, we have some hope that Richardson can serve as a voice of reason. He appears rather reasonable regarding upcoming issues, such as DNA testing and judicial interpretation of the Michael Morton Act. All in all, we have every reason to believe that Richardson will serve as a honorable Judge on the Court of Criminal Appeals. Accordingly, this board endorses him for Place 3 of the Court. Earlier this month, the Court of Criminal struck down the State’s law against improper photography. In an unnecessarily expansive holding, the court ruled 8-1 to protect most forms of lecherous photography in public places as protected symbolic speech under the 1st Amendment. We disagree with the ruling not only because the intent could have been accomplished significantly narrower, but because it does not take under consideration the protection of some of society’s most vulnerable. Surely, there could be a better solution? Oddly enough, the brouhaha that inevitably erupted regarding this ruling reminded us of the credentials of Kevin Yeary, the Republican candidate for the Court of Criminal Appeals, Place 4. In a long and illustrative career as a appellate prosecutor, Yeary was the driving force behind defending the Texas Telephone Harassment statute from a similar first amendment challenge. Although the Court of Appeals originally struck down the law, it was later reversed by the Court of Criminal Appeals. Although candidates like Yeary are often prevented by ethics rules from publicly rebuking decisions such as the Improper Photography one, we confidently feel that his unique perspective would have allowed him to see the case differently. Yeary is a good lawyer, with an honorable resume as a prosecutor. We have some concerns that, like many others, his prosecutor’s cap would follow him too closely onto the bench. And we are obviously disappointed to see yet another vehement advocate for the death penalty. All this being said, Yeary has no Democratic opponent. His only opposition is in the form of unqualified, unknown third parties. Given these choices, we think that Yeary is a very easy choice. Accordingly, this board endorses Kevin Yeary for the Court of Criminal Appeals, Place 4. 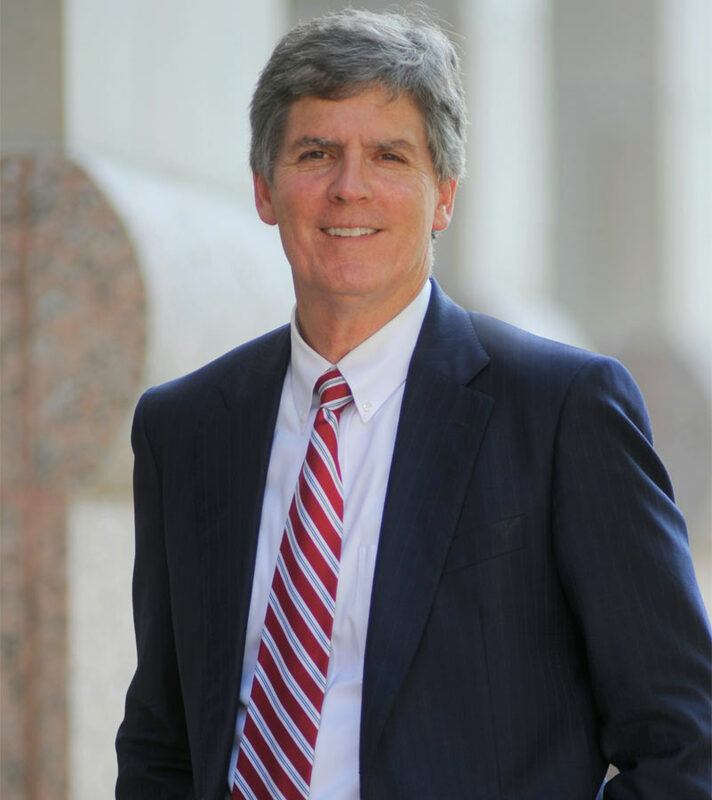 David Newell, a longtime appellate prosecutor with the Harris County District Attorney’s office, is uniquely qualified against his opponents to look out against mismanagement and miscarriages of justice. Indeed, we think his impressive career would allow him to be a good judge on the high court. A down-to-earth, affable personality, we think Newell’s greatest asset may be the way he approaches serious endeavors such as his run for office. We have every reason to believe he’ll take the same attitude to the court if elected. Obviously, we do have some misgivings about his candidacy. An emphatic defender of capital punishment, we sharply disagree. His website also contains an inappropriately lengthy section on his religious faith, juxtaposed immediately next to one on his “judicial philosophy.” In our society, where –as Thomas Jefferson once proscribed– there should be a wall erected between the church and the state, the occurrence is slightly troubling. But Newell’s judicial philosophy and his history warrant support, especially in light of him lacking any serious competitors. Facing only token opposition, his endorsement is an easy one. But we have hope that Newell will make a good judge. Accordingly, this board endorses David Newell for the Court of Criminal Appeals, Place 9. This entry was tagged 2014 Election, Bert Richardson, Court of Criminal Appeals, David Newell, Death Penalty, Editorial Board, Endorsements, John Granberg, Kevin Yeary, Michael Morton, Rick Perry. Bookmark the permalink.